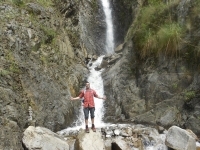 After much searching online for a trek I came across the Salkantay trek and read the reviews and I was hooked. The prices were good (not too high or too low) and the responses from their secretary was very prompt and informative. We started the best part of the journey by train. Poroy was our early starting point. The view was fantastic. 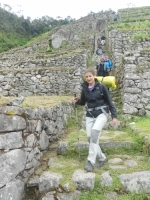 In just a short period time, we went through from the vast Inca farm fields into the majestic Inca mountains region. 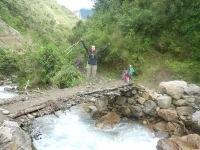 We saw many beautiful streams, rivers, and snow capped glaciers. 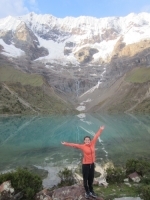 I'm more than pleased with the Salkantay trek. 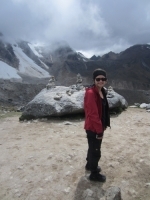 We had a really great time, the view during the trek was amazing, and all the arrangements were great ! The food was even better than I expected, you don't have to worry about trekking hungry ! Three nights / four days of an unforgettable experience. The only way to arrive even if it means braving dirty toilets in the dark. A challenge but the pay off is worth every penny. 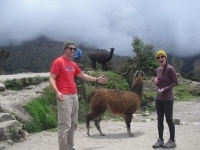 Two brilliant guides and an interesting multilingual group puts this up there with my all time best trips list ! First of all, thank you for this life time experience. Everything was arranged very well. 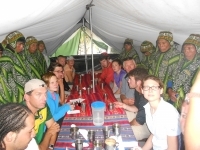 The food was very tasty, the tents were already pitched when we arrived at the campsite, the porters and cook were very friendly. 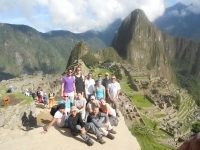 We had a great time over these 4 days trekking along the beautiful Inca Trail ! 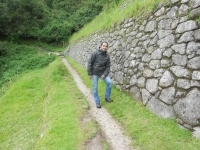 Our guide Edwin gave us loads of insightful comments along the way and made the experience rich and instructive for us. We made the most of these 4 days by visiting all the wonderful remains surrounding the area and admiring breath taking landscapes ! 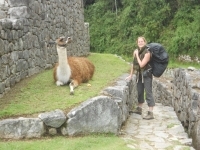 Machu pichu is for tourists ! 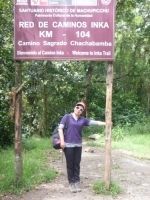 The best is obviously the trek itself ! You walk for 4 days in tough conditions but it's clearly worth it. 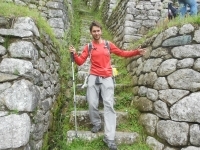 The highlights are the second and third days which are the toughest ones as you feel that you push your limits a little. 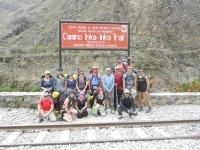 The guides, the porters and the cook were all great. Plenty of good food to go around. Guides were very informative and friendly. The guides did a very good job of letting us know what the plan was for the day so nothing was unexpected.